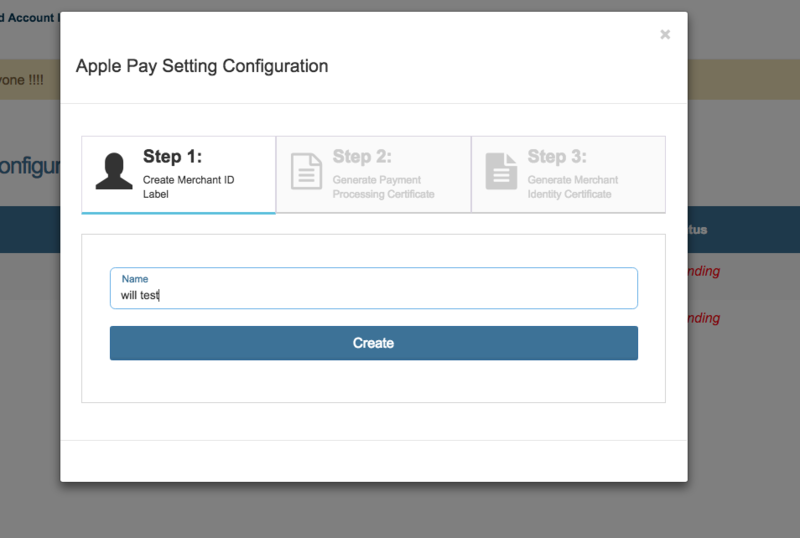 This page allows developers to configure web-based Apple Pay. You can find out more about Apple merchant configuration here. Please Note: NFC Apple Pay through terminals such as the Castles MP200L does not require configuration. This is used for web-based Apple Pay through the API. To configure Apple Pay for a new Apple Merchant ID, click on the "Add" button at the top of the page. Add a label for this configuration, so you will know which Apple Merchant ID this is attached to. 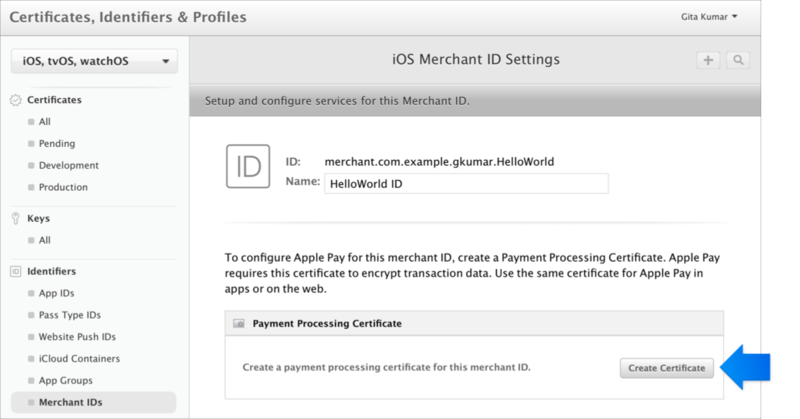 This is for your reference and the label does not need to match the Apple Merchant ID. Once you have labeled this configuration, click "Create" to go on to the next step. Next, you repeat almost exactly the same steps for the Merchant Identity Certificate. 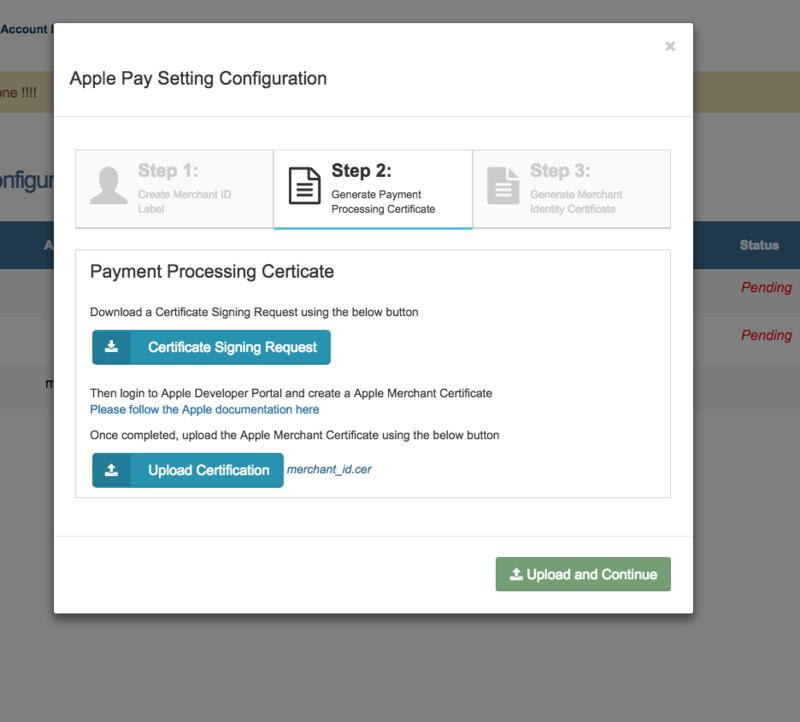 Upload the Merchant Identity certificate you receive from Apple and click "Upload and Complete". You will know the certificates were uploaded successfully when the status column says "Complete". If you click on a configuration with a status of "Pending" it will display the most recent step you have not completed. If you click on a configuration with the status of "Complete" it will show you the Apple Configuration details. 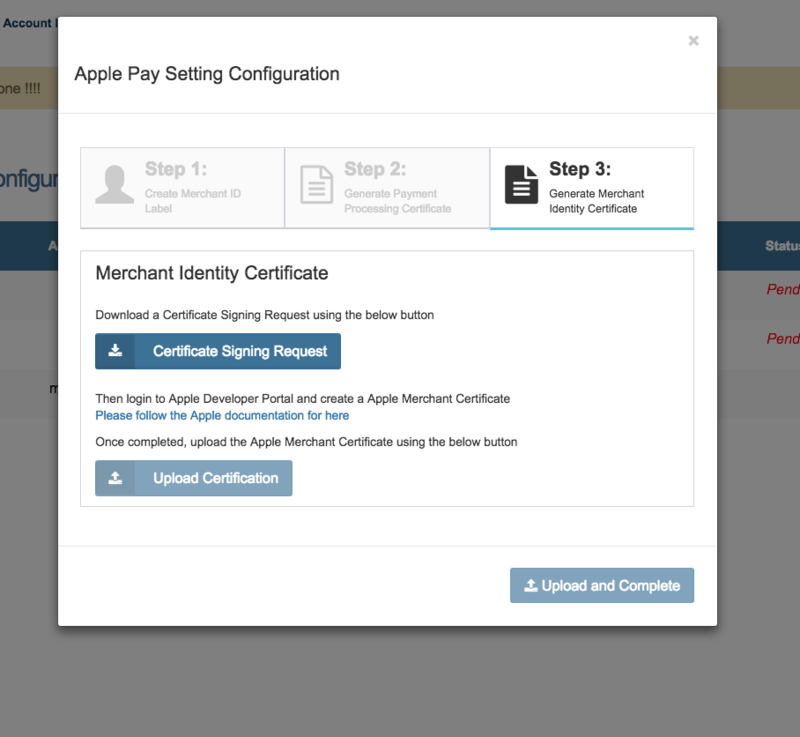 When you have added your first Payment Processing Certificate and the Merchant Identity Certificate, they will be set to your default Apple Pay configuration. 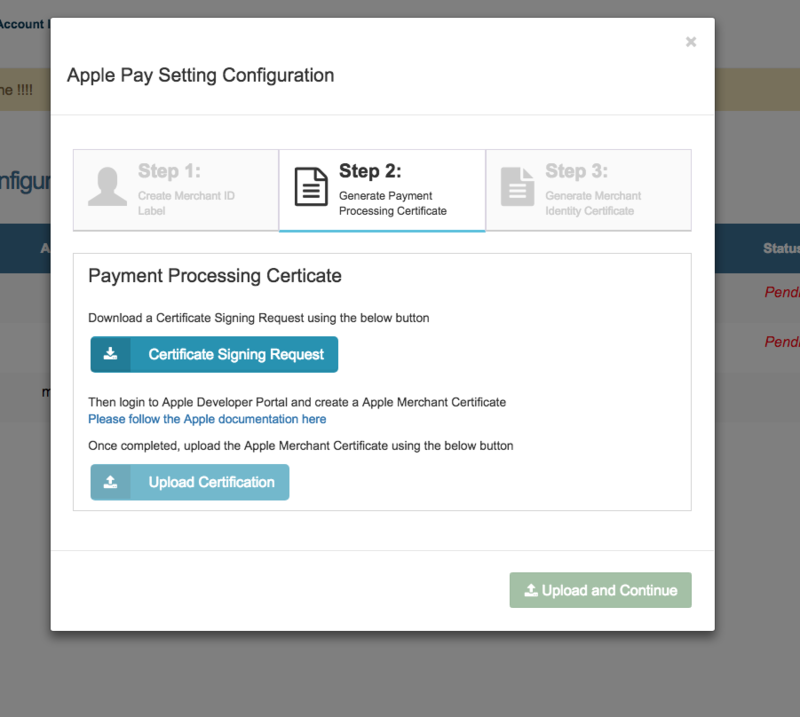 If you add more Apple Pay configurations, and would like to change the default settings, just click the "Make Default" button to make that Apple Merchant ID the default certificate used for Apple Pay on your account. To delete a configuration, right click on the line and select "Delete".